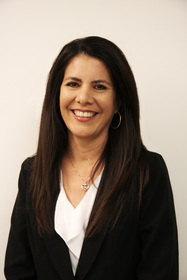 TUCSON, AZ--(Marketwire - Feb 20, 2013) - Tucson-based restaurant chain eegee's has promoted Tina Ernle to Executive Administrator. Ms. Ernle will be responsible for the operations and management of the administrative offices of eegee's. Her duties include managing office staff and provisions, handling customer inquiries and feedback, reporting operations data, and corporate event planning and special project coordination. Tina started at eegee's in 1990 as a front desk receptionist. Her attention to detail and superior customer service skills allowed her to become an operations assistant and marketing associate. For 12 years she has been eegee's Office Manager. Last year she celebrated 25 years as an eegee's employee. President Robert Jensen states, "Tina is probably the most beloved employee in the entire company. Her sincere and glowing attitude permeates thru to our customers. For many Tucsonans, Tina is eegee's. She is a shining example of starting at the bottom and thru hard work and perseverance, making it to the top." For over 40 years, eegee's has been serving their famous frozen fruit drink to Arizonans. Its policy of promoting from within has contributed to 48 employees with 10 or more years at eegee's. They are continually looking for the best and brightest in Tucson to grow this tradition. They are holding a job fair on March 2nd to accept applications for up to 100 new positions. Tucson-based restaurant chain eegee's makes and sells their signature frozen fruit drink in lemon, strawberry and pina colada flavors, and a unique "flavor of the month." eegee's also serves made-to-order sub sandwiches, salads, fries and more at all of the 23 locations in Tucson and Casa Grande. eegee's is committed to social and environmental involvement by donating time, food and money to local charities as well as minimizing waste at their 30,000 sq. ft commissary. Last year, eegee's celebrated their 40th anniversary. For more information, visit www.eegees.com. About this company eegee's, Inc.